A dive operation to determine the location of an oil leak in Mystic River near the Alford Street bridge was postponed Monday due to weather conditions, the Coast Guard said. 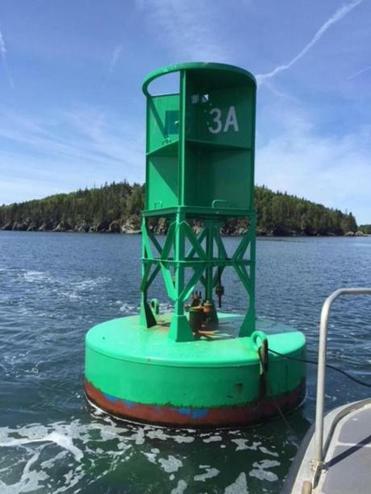 The dielectric oil is believed to be coming from an Eversource Energy cable encased in a metal pipeline that runs under the river near the bridge, said US Coast Guard petty officer Nicole Groll. The bridge connects Boston and Everett. The Coast Guard and Massachusetts Department of Energy initially discovered the leak Friday during a patrol of the river, according to a statement. The leak is described as “small” and “slow” by the Coast Guard. DEP, Eversource, and the Coast Guard have contained the area with floating barriers until they can continue working to identify the source of the leak. Groll said boat traffic is able to navigate around the barriers. Groll said people should avoid contact with the oil as much as possible until the area is cleared.